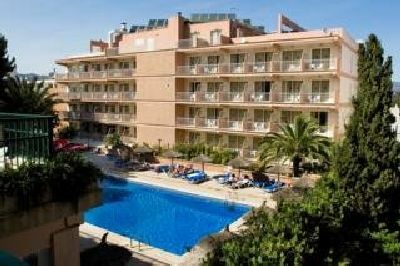 Complejo Delfin Hoteles is located set 200 metres from Cala de Santa Ponça Beach. It offers a seasonal indoor and outdoor pool with sunbeds. It has 113 comfortable rooms. All rooms have spectacular views of the sea or gardens. The Hotel Delfin Siesta Mar haves a fabulous Buffet restaurant with show cooking, their gardens are ideal for reading and enjoy playing table tennis and billiards. The hotel also has an indoor and outdoor pool with sun beds, umbrellas, bar and free WiFi in public areas. There is also a bar inside the hotel. The Complejo Delfin Hoteles in Mallorca is a modern hotel, consisting 89 rooms, which have been redecorated and soundproofed. Situated near the beach, the hotel has a select dining room with buffet and show cooking, tropical terrace bar, bar cafeteria, conference lounges and an elegant lounge. The Hotel is very well positioned in the holiday resort of Calvià, only 150 m,.